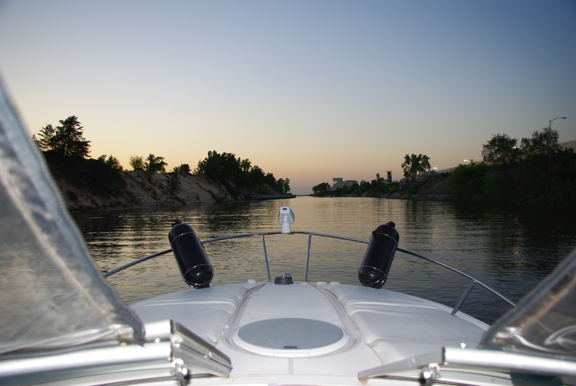 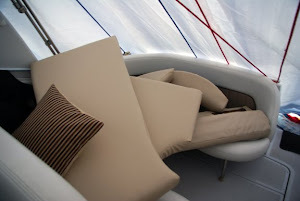 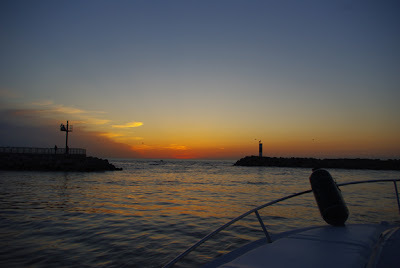 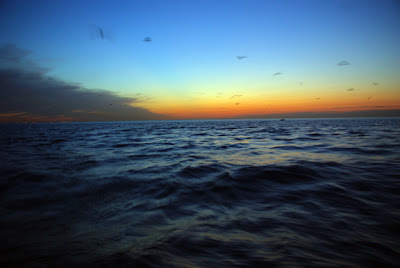 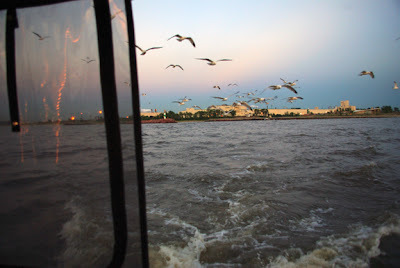 Lake Michigan (and beyond) Boating Adventures: Let's Toast to the 2011 Boating Season! Let's Toast to the 2011 Boating Season! Attack of the hungry seagulls!! 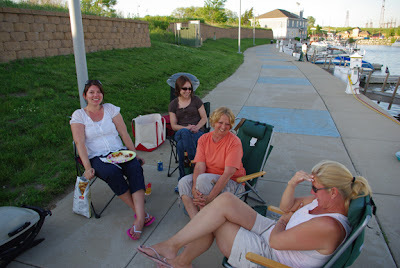 We were lucky this week to have some beautiful weather after work, so we decided to have a little marina get together Wednesday night. 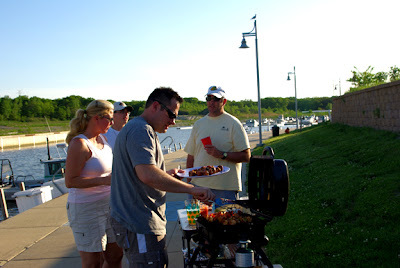 Some cocktail shrimp, BLTs, kabobs and drinks made for a perfect dinner before we headed out for a sunset cruise on Seapickle II. 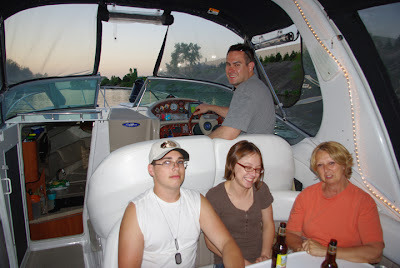 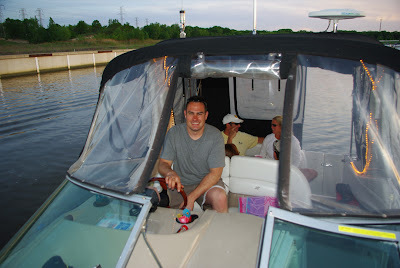 This was the first time we had our marina friends out on the boat... and we should really do it more often! We had a great evening.... thanks guys!